Is it just me or do I add Chorizo to just about everything?! Well this recipe is going to have it too, because it just makes everything better. If you are not a fan no worries there are plenty of things you can substitute if you want (but who wants to)?! Directions: Cook frozen hash according to directions on the package in a skillet. I didn’t measure the frozen hash but approximately 1/2 cup to one cup will be good for 2 servings. 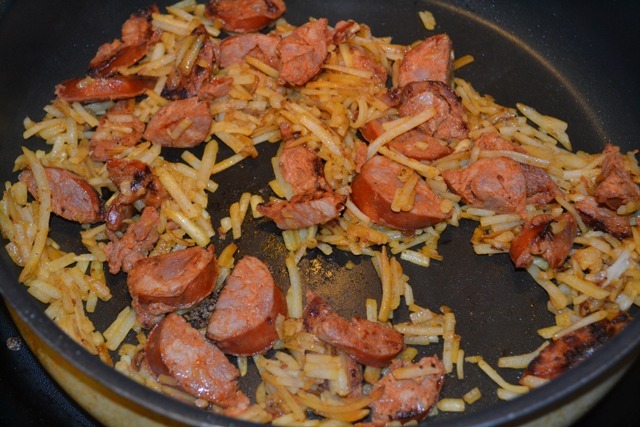 Move the hash to one side of the pan and cook the chorizo until lightly browned. Crack the eggs into the pan and scrambled mixing it with the rest of the ingredients. Once cooked through, transfer all ingredients to a bowl and set aside. 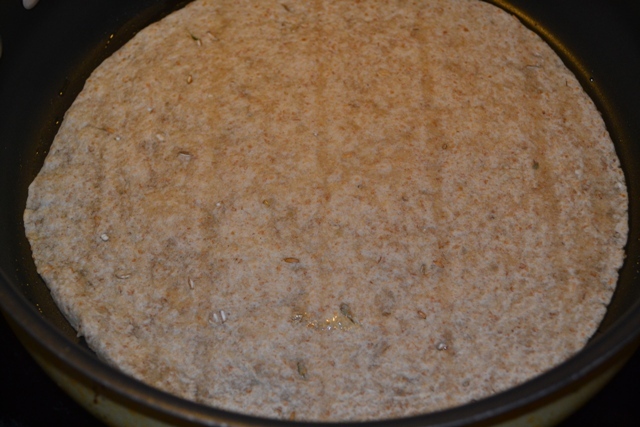 Replace pan to the stovetop and add in a Tsp of oil or spray with Pam; place tortilla into the pan. 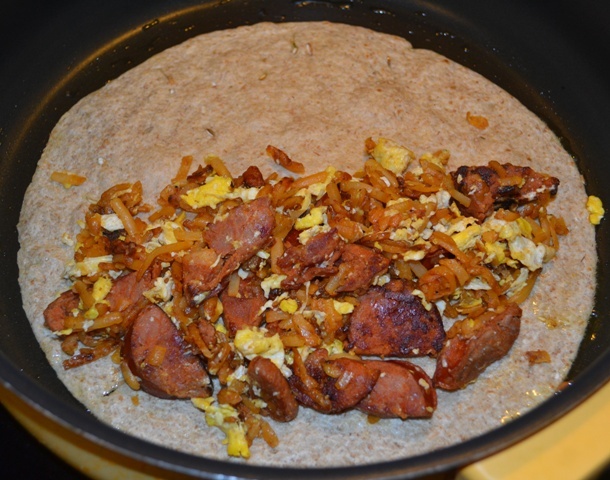 Add in half of the Chorizo mix to one side of the tortilla then fold the tortilla in half. Flip if needed to cook the other side. I choose to let the tortilla cook flat then just folded over just as it was done. Cut into 4 wedges and serve. 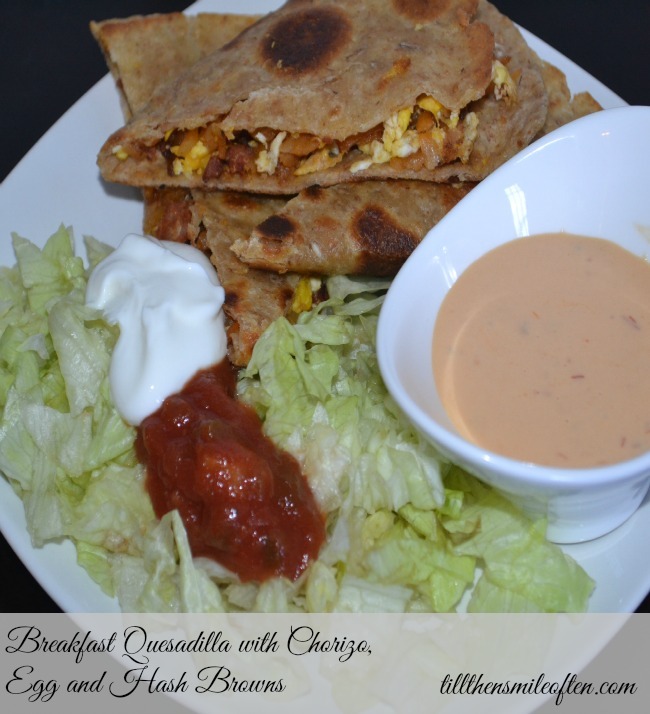 I added some shredded lettuce, salsa and Greek yogurt to dip the Quesadillas in. I had some Thousand Island dressing too but it wasn’t as good as the salsa and yogurt. Substitutions: Not a fan of Chorizo? Substitute crumbled sausage, ham, or even bacon. Bacon will not yield as much of a filling so you may need more egg to fill it up. Vegetarian Option: Skip the meat all together and add in your favorite veggies. This was a no muss no fuss breakfast and easy to whip up! I really liked it and can’t wait to make it again. What would you use for your filling? Do you have a favorite breakfast food? dammit. WP ate my comment!!! That has been happening to me too with Blogger! Hope Kayla loves it. It is a new favorite of mine! Oh, that looks delicious! I’m getting my fill of grains right now because once I’m in AZ, Ryan and I will be doing straight paleo again. I love the sound of this though! Thank you. Yes, I have been cutting back on my grains but I just had to try it. So worthy it! This looks delicious! I may have just found my weekend breakfast!! Woohoo! Hope you like it. Perfect weekend breakfast! Ah hahaha I saw your title and was like MORE CHORIZO! I still haven’t tried it ever! These look awesome and I really need to get on the chorizo train with you. This looks like a good contender to jump into the chorizo pool with! Yes, Chorizo is sooo good! I mean you could swap it out for sausage but really it is such a great flavored sausage you really should give it a try. Get on board the train girl!!! 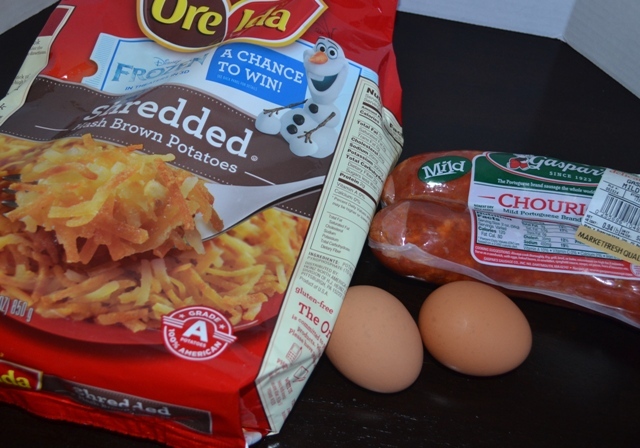 I don’t eat chorizo but I would definitely make this without it…YUM! You can always swap it out for another meat or with just veggies. Hope you like it! I seriously love chorizo! This looks delish, Kerry. Chorizo is the best!! Hope you give it a try! way to make me hungry!!! Haha! I promise it is worth it! I book marked this one! Yum! Thanks! It is quick to make and I really liked it. Hope you do too!! I think I’d just skip the meat and leave everything the same! Sounds nummy! Hope you had fun on the cruise! Hope you like it! So when are you going to come to Texas and cook for me?? I really need to plan a trip because there are at least 4 Texas bloggers I want to meet! You included, of course! This looks really good! One of my goals this year is to learn how to make my own corn tortillas – because they’re gluten free but I don’t like the bite of store bought ones. Once I cross that bridge, I’ll have to put them on our breakfast menu! Making your own sounds fun especially if it helps make them Gluten free. Wowza! 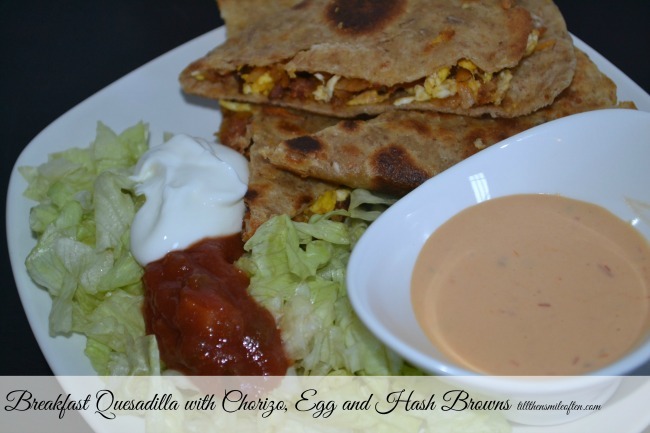 I’m drooling over these ‘dillas – they look delicious! Thanks girl! I totally wanted seconds when I made them. I knew better than to read this when I was hungry but I did it anyway. Give me the food!!! I like making things like this but you know I always gotta make extra meat if I want any – Hawkeye doesn’t share. but what if i really wanna eat it for dinner?!?! i wanna make this tonight. looks delicious! This looks delicious! Try it with Spanish chorizo…there’s a great coop in Northampton that has real Spanish chorizo. Great flavors! Buen provecho! I will have to look for it. Thank you for the tip!